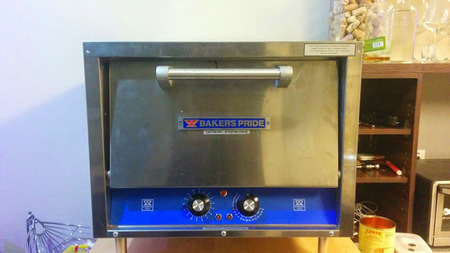 Yesterday I picked up a mini Baker's Pride oven. Boy was I excited to try it. Tonight I cooked up my first pie using Tony's dough. 6:30 bake at 575. I was very pleased with the results, though I won't turn the oven as high next time. What phenomenal dough, and what a great oven. I can tell I'm going to be good friends with this oven. The pup really wanted to get a taste. Nice looking pie. Which sauce and cheese did you use? 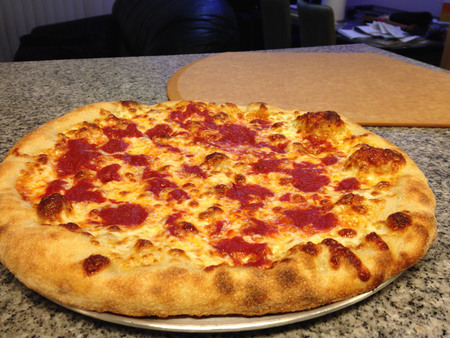 I Made a sauce with Cento plum tomatoes, not the San Marzanos. Ran out of Grande, so used low moisture whole milk mozzarella from Trader Joe's. Not as good as Grande, but better than I expected it to be. Raj, TJ's whole milk mozza used to be fantastic, one of my favorites. It was the North Beach brand made by Cascade Dairy (Pacific Cheese Co.) out of Hayward. Unfortunately TJ stopped carrying it so I contacted Pacific Cheese and as it stands right now, it's only available at the foodservice level. Safeway's Lucerne whole milk mozza is a excellent sub when it comes to retail level. Nice tang and excellent meltability. Mike, I'm dating myself, but I remember back when Trader Joe's had the North Beach cheese. Was some time ago. Just picked up Lucerne whole milk mozzarella. The melt looked amazing on the pics you posted the other day. Did you get a 1 lb. ball or the 2 lb. brick? The Safeway closest to me only sells the part-skim mozzarella in the 2 lb. brick. Totally forgot to answer you! Glad this post came back up. I use the 1lb WM mozza. Sometimes I go with a 2:1 ratio of Lucerne's WM mozza and their low-moisture, part-skim mozza. Very good combo, especially for NY-style. Doesn't beat Grande, of course, but it's a worthy sub. I'll try that mix soon. 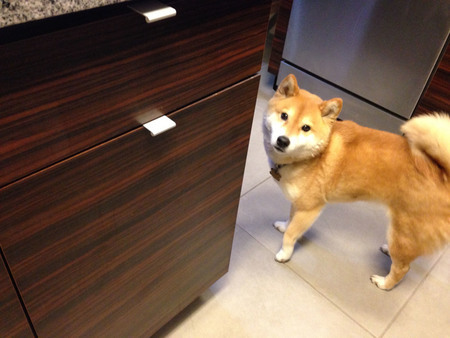 Hi Raj, could you tell me specifically what model that oven is? Cheers! Hi Eugene, This is the P18 120V model. It's an excellent machine for home use. 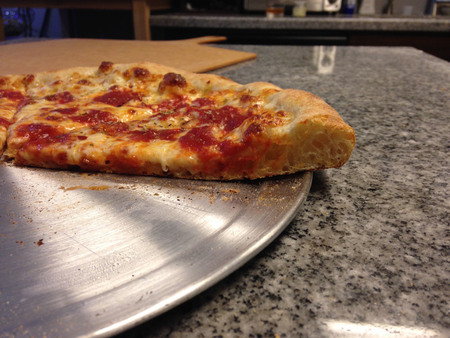 A lot of slice joints also use it to reheat. The specs say it's (120V version) suitable for parbaking, but you can definitely make pizzas in it. 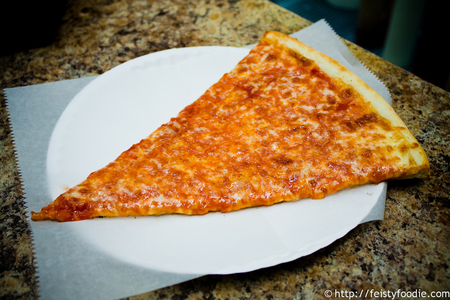 Can anyone tell me why most slice house pizzerias in NYC produce a pizza with a flatter looking outer crust? Like in this photo? 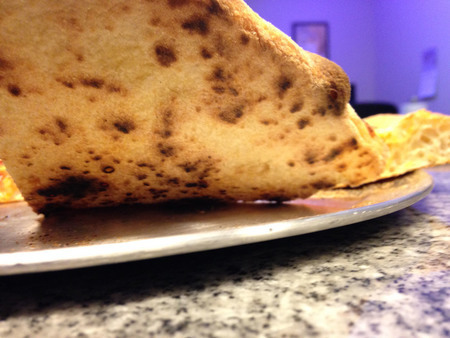 Does it have to do with the way the dough is stretched? And why the cheese looks mottled? Does it have to it do with a cheese blend? Hey Eugene, can you start a new post for this? I think it's an interesting question and worthy of its own thread. I have a few thoughts I'll post. Is that Tony’s master dough? What flour did you use? Any details on your dough making process?